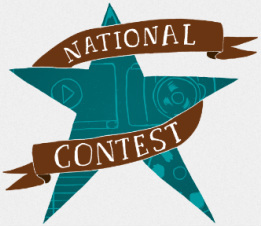 Submit your original narrative, video, audio, artwork, comics, photographs, or any other form of creative expression. It's time to tell our own stories! Start Now! "America is much better thanks to the five immigrant students whose work you are about to read and see. But they go beyond art. They have real courage to share these stories. Indeed, this is where I get my inspiration." The Things I'll Never Say national creativity contest motivates undocumented young people in the United States to share their immigration stories in creative ways. Over 100 outstanding writing, art, photography, video and music submissions were entered. The contest is currently closed, but you can still share your story here! As undocumented young people, we share an intimate part of ourselves in hopes of giving an insight into what it's like to grow up and live as undocumented in the United States. The majority of the writing comes from undocumented youth in E4FC's creative writing program. Some of the themes in our writing include memories of home, immigrating and assimilating, relationships with loved ones, and hope for a bright future. We all have a story to tell— share yours here! 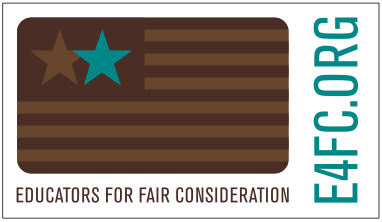 Our future as undocumented young people in the United States is constantly under debate in congress and the media. Absent from these debates are our real life stories— the stories of the individuals whose lives are being decided upon. We are taking back the narrative by using various forms of art and media to add our voices to the discussion. Share your audio or video story here! 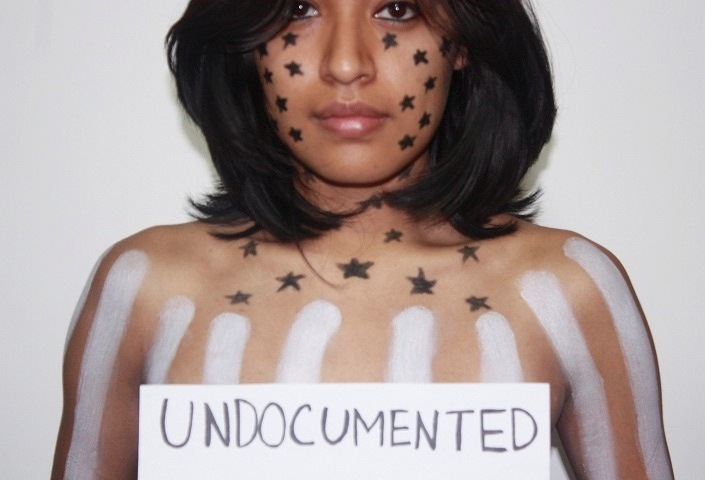 Visual art has become one of the most influential tools in the undocumented immigrant youth movement. The saying "a picture is worth a thousand words" definitely applies here. As young artists, we are using our talents to shed light on issues that are important to our families, our communities and ourselves. Share your visual art here! Click on a title to learn more about the artwork. Click here for resources and information about how to incorporate creative writing with your group!